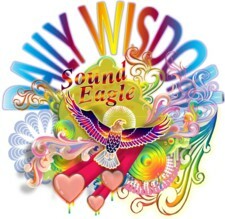 Adapted from Wikipedia and augmented by SoundEagle🦅 with art, text, music, videos, weather, documentaries and extensive presentational formats. Though signs of the Chinese New Year (also named the Spring Festival) can be amply felt or witnessed where there are Chinese settlements, such as Chinatowns in various parts of the world, they are much rarer outside such centres and beyond Asian communities situated in English-speaking countries. A week before the annual celebration, a chance visit to Paddington (a gentrified inner suburb of Brisbane, Australia, and located 2 km west of the Brisbane CBD) provided a good indicator and microcosmic example of the increased intensification and extensive interpenetration of economic, social and cultural practices and relations. Imagine one’s surprise when the Paddington Antique Centre, an iconic heritage-listed building (originally a Picture Palace movie theatre) on Latrobe Terrace, makes space and “celebrate[s] Chinese New Year featuring traditional Chinese pieces including Jade ornaments, jewellery, ceramics, cloisonne vases, sculptures, art and more” in its entire front foyer throughout February, 2013. Lion dancers at Historic Chinatown Gate, Chinese New Year, Hing Hay Park, Seattle, Washington on 3 February 2011. The celebration begins on the new moon that appears between 21 January and 20 February (and extremely rarely, 21 February, such as in 2033, the first occurrence since the 1645 calendar reform). Lion dances, fireworks, family gathering, family meal, visiting friends and relatives (拜年, bàinián), giving red envelopes, decorating with duilian (對聯, duìlián). Lantern Festival, which concludes the celebration of the New Year on the 15th day. London: Chinatown with Chinese New Year decoration. Southeast Asia’s largest temple — Kek Lok Si in Penang, Malaysia — illuminated in preparation for the Lunar New Year. Citywalk, Atrium, Chinese New Year 2015, Hong Kong. Chinese New Year is the most important of the traditional Chinese holidays. In China, it is also known as the Spring Festival, the literal translation of the modern Chinese name. Chinese New Year celebrations traditionally ran from Chinese New Year’s Day itself, the first day of the first month of the Chinese calendar, to the Lantern Festival on the 15th day of the first month, making the festival the longest in the Chinese calendar. Since the Chinese calendar is lunisolar, the Chinese New Year is often referred to as the “Lunar New Year“. The origin of Chinese New Year is itself centuries old and gains significance because of several myths and traditions. Chinese New Year is celebrated in countries and territories with significant Chinese populations, including Mainland China, Hong Kong, Macau, Taiwan, Singapore, Thailand, Indonesia, Malaysia, Mauritius, Philippines, and also in Chinatowns elsewhere. Chinese New Year is considered a major holiday for the Chinese and has had influence on the lunar new year celebrations of its geographic neighbours. Within China, regional customs and traditions concerning the celebration of the Chinese new year vary widely. People will pour out their money to buy presents, decoration, material, food and clothing. It is also traditional for every family to thoroughly cleanse the house, in order to sweep away any ill-fortune and to make way for good incoming luck. Windows and doors will be decorated with red colour paper-cuts and couplets with popular themes of “good fortune” or “happiness”, “wealth” and “longevity”. The evening preceding Chinese New Year’s Day is an occasion for Chinese families to gather for the annual reunion dinner. Activities include lighting firecrackers, wishing relatives a happy new year, and giving money in red paper envelopes. Although the Chinese calendar traditionally does not use continuously numbered years, outside China its years are often numbered from the reign of the Yellow Emperor. But at least three different years numbered 1 are now used by various scholars, making the year beginning in 2012 AD the “Chinese Year” 4710, 4709 or 4649. An alternative name for Chinese New Year’s Day means literally “the (great) first day of the year” (Chinese: (大)年初一; pinyin: (Dà) Nián Chūyī). The New Year’s Day public holiday in Hong Kong and Macau is named in Chinese using numbering system, as literally “first day of the year in the Agricultural Calendar” (traditional Chinese: 農曆年初一; simplified Chinese: 农历年初一; pinyin: Nónglì Nián Chūyī) while the official English name is “the first day of Lunar New Year”. The days in the first month in the Chinese calendar are similarly called “the n-th day of the year”, although “the twenty-first to thirtieth days of the year” more generally refer to the last month of the year. Chinese New Year’s Eve, a day where Chinese families gather for their annual reunion dinner, is known as Chúxī (除夕), literally “evening of the passing”. The lunisolar Chinese calendar determines the date of Chinese New Year. The calendar is also used in countries that have adopted or have been influenced by Han culture, notably the Koreans, Japanese and Vietnamese. The dates for Chinese New Year from 1996 to 2031 (in the Gregorian calendar) are above, along with the year’s presiding animal zodiac and its earthly branch. The names of the earthly branches have no English counterparts and are not the Chinese translations of the animals. Alongside the 12-year cycle of the animal zodiac there is a 10-year cycle of heavenly stems. Each of the ten heavenly stems is associated with one of the five elements of Chinese astrology, namely: Wood, Fire, Earth, Metal and Water. The elements are rotated every two years while a yin and yang association alternates every year. The elements are thus distinguished: Yang Wood, Yin Wood, Yang Fire, Yin Fire, etc. These produce a combined cycle that repeats every 60 years. For example, the year of the Yang Fire Rat occurred in 1936 and in 1996, 60 years apart. Many confuse their Chinese birth-year with their Gregorian birth-year. As the Chinese New Year starts in late January to mid-February, the Chinese year dates from January 1 until that day in the new Gregorian year remain unchanged from the previous Gregorian year. For example, the 1989 year of the snake began on February 6, 1989. The year 1990 is considered by some people to be the year of the horse. However, the 1989 year of the snake officially ended on February 8, 1990. This means that anyone born from January 1 to February 7, 1990 was actually born in the year of the snake rather than the year of the horse. Many online Chinese Sign calculators do not account for the non-alignment of the two calendars, using Gregorian-calendar years rather than official Chinese New Year dates. One scheme of continuously numbered Chinese-calendar years assigns 4709 to the year beginning , 2011, but this is not universally accepted; the calendar is traditionally cyclical, not continuously numbered. 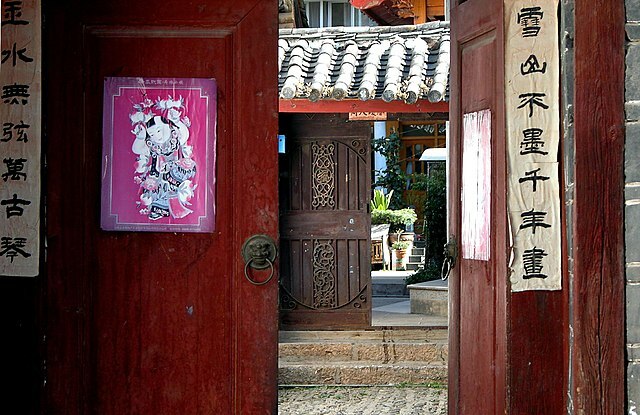 Hand-written Chinese New Year’s poetry pasted on the sides of doors leading to people’s homes, Lijiang, Yunnan. According to tales and legends, the beginning of Chinese New Year started with the fight against a mythical beast called the Nian (Chinese: 年; pinyin: Nián). Nian would come on the first day of New Year to eat livestock, crops and even villagers, especially children. 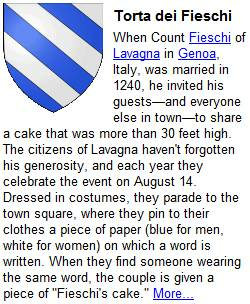 To protect themselves, the villagers would put food in front of their doors at the beginning of every year. It was believed that after the Nian ate the food they prepared, it wouldn’t attack any more people. One time, people saw that the Nian was scared away by a little child wearing red. The villagers then understood that the Nian was afraid of the colour red. Hence, every time when the New Year was about to come, the villagers would hang red lanterns and red spring scrolls on windows and doors. People also used firecrackers to frighten away the Nian. From then on, Nian never came to the village again. The Nian was eventually captured by Hongjun Laozu, an ancient Taoist monk. After that, Nian retreated to a nearby mountain and became Hongjun Laozu’s mount. The name of the mountain has long been lost over the years. Chinese New Year is observed as a public holiday in a number of countries and territories where a sizable Chinese population resides. Since Chinese New Year falls on different dates on the Gregorian calendar every year on different days of the week, some of these governments opt to shift working days in order to accommodate a longer public holiday. In some countries, a statutory holiday is added on the following work day when the New Year falls on a weekend, as in the case of 2013, where the New Year’s Eve (February 9) falls on Saturday and the New Year’s day (February 10) on Sunday. Depending on the country, the holiday may be termed differently; common names are “Chinese New Year”, “Lunar New Year”, “New Year Festival”, and “Spring Festival”. For New Year celebrations that are lunar but are outside of China and Chinese diaspora (such as Korea’s Seollal and Vietnam’s Tết), see the article on Lunar New Year. Chinese New Year eve (8 February 2005, 22:59:06) in Meizhou at eastern Guangdong province, China. Fireworks are set off to ward off the bad spirits from the previous year and welcome the new year in. 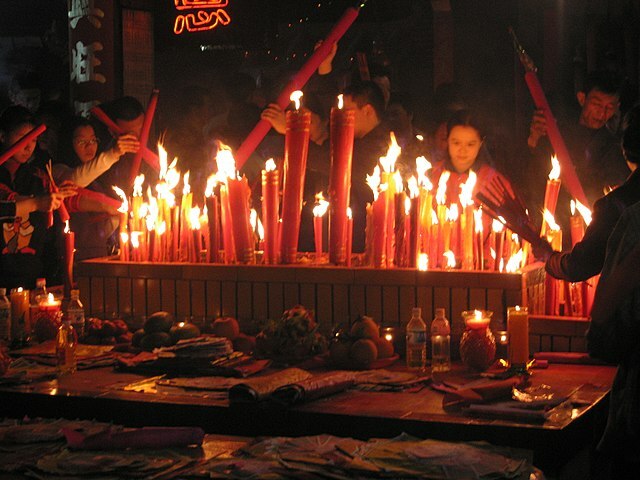 Candles and incense are also lighted during prayers, like this scene on Chinese New Year’s Eve. On the eighth day of the lunar month prior to Chinese New Year, a traditional porridge known as làbāzhōu (臘八粥) is served in remembrance “of an ancient festival, called Là, that occurred shortly after the winter solstice”. Làyuè (臘月) is a term often associated with Chinese New Year as it refers to the sacrifices held in honor of the gods in the twelfth lunar month, hence the cured meats of Chinese New Year are known as làròu (臘肉). The porridge was prepared by the women of the household at first light, with the first bowl offered to the family’s ancestors and the household deities. Every member of the family was then served a bowl, with leftovers distributed to relatives and friends. It’s still served as a special breakfast on this day in some Chinese homes. On the days immediately before the New Year celebration, Chinese families give their home a thorough cleaning. There is a Cantonese saying “Wash away the dirt on ninyabaat” (年廿八，洗邋遢), but the practice is not restricted to nin’ya’baat (年廿八, the 28th day of month 12). It is believed the cleaning sweeps away the bad luck of the preceding year and makes their homes ready for good luck. Brooms and dust pans are put away on the first day so that the newly arrived good luck cannot be swept away. Some people give their homes, doors and window-frames a new coat of red paint; decorators and paper-hangers do a year-end rush of business prior to Chinese New Year. Homes are often decorated with paper cutouts of Chinese auspicious phrases and couplets. Purchasing new clothing, shoes, and receiving a hair-cut also symbolize a fresh start. Businesses are expected to pay off all the debts outstanding for the year before the new year eve, extending to debts of gratitude. Thus it is a common practice to send gifts and rice to close business associates and extended family members. In many households where Buddhism or Taoism is prevalent, home altars and statues are cleaned thoroughly, and altars that were adorned with decorations from the previous year are taken down and burned a week before the new year starts, to be replaced with new decorations. Taoists (and Buddhists to a lesser extent) will also “send gods” (送神, sòngshén), an example would be burning a paper effigy of Zao Jun the Kitchen God, the recorder of family functions. This is done so that the Kitchen God can report to the Jade Emperor of the family household’s transgressions and good deeds. 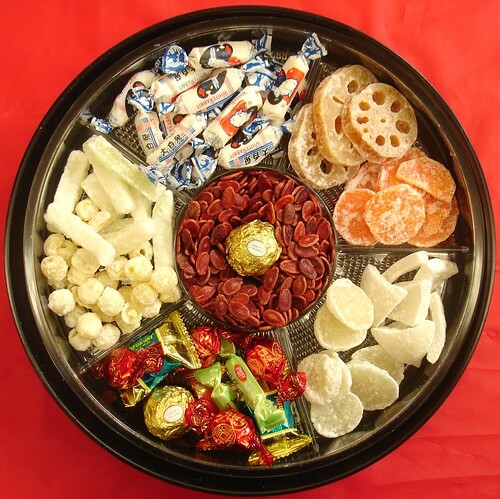 Families often offer sweet foods (such as candy) in order to “bribe” the deities into reporting good things about the family. Prior to the Reunion Dinner, a thanksgiving prayer offering to mark the safe passage of the previous year is held. Confucianists take the opportunity to remember the ancestors, and those who had lived before them are revered. The biggest event of any Chinese New Year’s Eve is the Reunion Dinner. A dish consisting of fish will appear on the tables of Chinese families. It is for display for the New Year’s Eve dinner. This meal is comparable to Christmas dinner in the West. In northern China, it is customary to make dumplings (jiaozi, 餃子, jiǎozi) after dinner to eat around midnight. Dumplings symbolize wealth because their shape resembles a Chinese tael. By contrast, in the South, it is customary to make a glutinous new year cake (niangao, 年糕, niángāo) and send pieces of it as gifts to relatives and friends in the coming days of the new year. Niángāo [Pinyin] literally means “new year cake” with a homophonous meaning of “increasingly prosperous year in year out”. After dinner, some families go to local temples hours before the new year begins to pray for a prosperous new year by lighting the first incense of the year; however in modern practice, many households hold parties and even hold a countdown to the new year. Traditionally, firecrackers were once lit to scare away evil spirits with the household doors sealed, not to be reopened until the new morning in a ritual called “opening the door of fortune” (kāicáimén, 開財門). Beginning in 1982, the CCTV New Year’s Gala was broadcast four hours before the start of the New Year. The first day is for the welcoming of the deities of the heavens and earth, officially beginning at midnight. It is a traditional practice to light fireworks, burn bamboo sticks and firecrackers and to make as much of a din as possible to chase off the evil spirits as encapsulated by nian (年) of which the term guo-nian (過年) was derived. Many people, especially Buddhists, abstain from meat consumption on the first day because it is believed that this will ensure longevity for them. Some consider lighting fires and using knives to be bad luck on New Year’s Day, so all food to be consumed is cooked the days before. On this day, it is considered bad luck to use the broom. Some families may invite a lion dance troupe as a symbolic ritual to usher in the Chinese New Year as well as to evict bad spirits from the premises. Members of the family who are married also give red packets containing cash known as lai see or angpow, a form of blessings and to suppress the aging and challenges associated with the coming year, to junior members of the family, mostly children and teenagers. Business managers also give bonuses through red packets to employees for good luck, smooth-sailing, good health and wealth. While fireworks and firecrackers are traditionally very popular, some regions have banned them due to concerns over fire hazards. For this reason, various city governments (e.g., Hong Kong and Beijing, for a number of years) issued bans over fireworks and firecrackers in certain precincts of the city. As a substitute, large-scale fireworks display have been launched by governments in such cities as Hong Kong and Singapore. The third day is known as Chìkǒu (赤口), directly translated as “red mouth”. Chìkǒu is also called Chìgǒurì (赤狗日), or “Chìgǒu’s Day”. Chìgǒu, literally “red dog”, is an epithet of “the God of Blazing Wrath” (熛怒之神). Rural villagers continue the tradition of burning paper offerings over trash fires. It is considered an unlucky day to have guests or go visiting. Hakka villagers in rural Hong Kong in the 1960s called it the Day of the Poor Devil and believed everyone should stay at home. This is also considered a propitious day to visit the temple of the God of Wealth and have one’s future told. In those communities that celebrate Chinese New Year for only two or three days, the fourth day is when corporate “spring dinners” kick off and business returns to normal. This day is the God of Wealth’s birthday. In northern Mainland China, people eat jiǎozi (simplified Chinese: 饺子; traditional Chinese: 餃子), or dumplings on the morning of Pòwǔ (破五). In Taiwan, businesses traditionally re-open on the next day (the sixth day), accompanied by firecrackers. It is also common in China that on the 5th day people will shoot off firecrackers in the attempt to get Guan Yu’s attention, thus ensuring his favor and good fortune for the new year. The seventh day, traditionally known as Rénrì (人日, the common man’s birthday), is the day when everyone grows one year older. In some [overseas Chinese] communities in [Southeast Asia], such as Malaysia and Singapore, it is also the day when tossed raw fish salad, [yusheng], is eaten for continued wealth and prosperity. For many Chinese Buddhists, this is another day to avoid meat, the seventh day commemorating the birth of [Śakra (Buddhism)|Sakra], lord of the devas in Buddhist cosmology who is analogous to the Jade Emperor. Another family dinner is held to celebrate the eve of the birth of the Jade Emperor. However, everybody should be back to work by the eighth day. All government agencies and business will stop celebrating by the eighth day. Store owners will host a lunch/dinner with their employees, thanking their employees for the work they have done for the whole year. Approaching 12 midnight on this day, Hokkiens will be seen preparing for a Jade Emperor ritual (Bai Ti Gong or 拜天公) which incenses will be burnt and food offerings will be made to the Jade Emperor and also to Zao Jun, the God of Kitchen who reports to the Emperor on each family. It is the birthday of the Jade Emperor who is the Taoist ruler of Heaven based on folks culture. In actual Taoism, Jade Emperor governs all the mortal’s realm and below. It is a common practice to hold the ritual prayer at late night passing 12am on CNY Day 8. In Malaysia, especially, prayers will usually light the fireworks during the prayer, even though fireworks are banned in Malaysia for safety reasons. The fireworks displayed is of much greater number and intensity compared to the ones burnt during the Chinese New Year’s eve and CNY Day 1 prayers. Hence, it is a common perception that the Hokkien people are richer than the others. This practice of Bai Ti Gong can also be seen in Singapore where majority of the its citizens are Hokkiens. 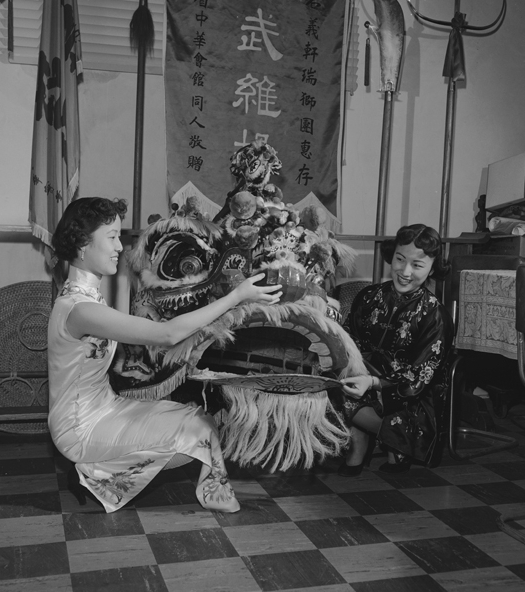 Chinese New Year’s celebrations, on the eighth day, in the [Metro Vancouver] suburb of [Richmond, British Columbia], [Canada]. The ninth day of the New Year is a day for Chinese to offer prayers to the Jade Emperor of Heaven (天公, Tiāngōng) in the Daoist Pantheon. The ninth day is traditionally the birthday of the Jade Emperor. This day, called Ti Kong Dan, Tiangong Sheng (天公生) or Pai Ti Kong (拜天公, Pài Thiⁿ-kong), is especially important to Hokkiens, even more important than the first day of the Chinese New Year. Come midnight of the eighth day of the new year, Hokkiens will offer thanks giving prayers to the Emperor of Heaven. A prominent requisite offering is sugarcane. Legend holds that the Hokkien were spared from a massacre by Japanese pirates by hiding in a sugarcane plantation during the eighth and ninth days of the Chinese New Year, coinciding with the Jade Emperor’s birthday. Since “sugarcane” (甘蔗, kam-chià) is a near homonym to “thank you” (感謝, kám-siā) in the Hokkien dialect, Hokkiens offer sugarcane on the eve of his birthday, symbolic of their gratitude. In the morning of this birthday, Taiwanese households set up an altar table with 3 layers: one top (containing offertories of six vegetables (六齋), noodles, fruits, cakes, tangyuan, vegetable bowls and unripen betel, all decorated with paper lanterns) and two lower levels (containing the five sacrifices and wines) to honor the deities below the Jade Emperor. The household then kneels three times and kowtows nine times to pay obeisance and wish him a long life. Incense, tea, fruit, vegetarian food or roast pig and gold paper is served as a customary protocol for paying respect to an honored person. On the 13th day people will eat pure vegetarian food to clean out their stomach due to consuming too much food over the preceding two weeks. This day is dedicated to the General Guan Yu, also known as the Chinese God of War. Guan Yu was born in the Han dynasty and is considered the greatest general in Chinese history. He represents loyalty, strength, truth and justice. According to history, he was tricked by the enemy and was beheaded. The fifteenth day of the new year is celebrated as Yuanxiao Festival/Yuánxiāojié (元宵节), aka Shangyuan Festival/Shàngyuánjié (上元节) or the Lantern Festival (otherwise known as Chap Goh Mei Chinese: 十五暝; pinyin: Shíwǔmíng; literally “the fifteen night” in Fujian dialect). Rice dumplings tangyuan (simplified Chinese: 汤圆; traditional Chinese: 湯圓; pinyin: tāngyuán), a sweet glutinous rice ball brewed in a soup, are eaten this day. Candles are lit outside houses as a way to guide wayward spirits home. This day is celebrated as the Lantern Festival, and families walk the street carrying lighted lanterns. In Malaysia and Singapore, this day is celebrated by individuals seeking for a love partner, a different version of Valentine’s Day. Normally, single women would write their contact number on mandarin oranges and throw it in a river or a lake while single men would collect them and eat the oranges. The taste is an indication of their possible love: sweet represents a good fate while sour represents a bad fate. Niangao (年糕), Chinese New Year cake. Red packets for the immediate family are sometimes distributed during the reunion dinner. These packets often contain money in certain numbers that reflect good luck and honorability. Several foods are consumed to usher in wealth, happiness and good fortune. Several of the Chinese food names are homophones for words that also mean good things. Like many other New Year dishes, certain ingredients also take special precedence over others as these ingredients also has similar sounding names with prosperity, good luck, or even counting money. (simplified Chinese: 罗汉斋; traditional Chinese: 羅漢齋; pinyin: luóhànzhāi) An elaborate vegetarian dish served by Chinese families on the eve and the first day of the New Year. A type of black hair-like algae, pronounced “fat choy” in Cantonese, is also featured in the dish for its name, which sounds like “prosperity”. Hakkas usually serve kiu nyuk (Chinese: 扣肉; pinyin: kòuròu) and ngiong teu fu. Fish Is usually eaten or merely displayed on the eve of Chinese New Year. The pronunciation of fish (魚yú) makes it a homophone for “surpluses”(餘yú). Leek Is usually served in a dish with rondelles of Chinese sausage or waxed meat during Chinese New Year. The pronunciation of leek (蒜苗/大蒜Suàn miáo/Dà suàn) makes it a homophone for “calculating (money)” (算Suàn). The waxed meat is so chosen because it is traditionally the primary method for storing meat over the winter and the meat rondelles resemble coins. jiaozi (dumplings) (Chinese: 餃子) Eaten traditionally in northern China because the preparation is similar to packaging luck inside the dumpling, which is later eaten. The dumpling resembles a silver ingot, or money. The symbolism is prosperity. Mandarin oranges Mandarin oranges are the most popular and most abundant fruit during Chinese New Year – jin ju (Chinese: 金橘子; pinyin: jīnjúzi) translation: golden tangerine/orange or kam (Chinese: 柑; pinyin: gān) in Cantonese. Also, the name gik (橘 jú) in Teochew dialect is a homophone of “luck” or “fortune” (吉 jí). Niángāo (Chinese: 年糕) Most popular in eastern China (Jiangsu, Zhejiang and Shanghai) because its pronunciation is a homophone for “a more prosperous year (年高 lit. year high)”. 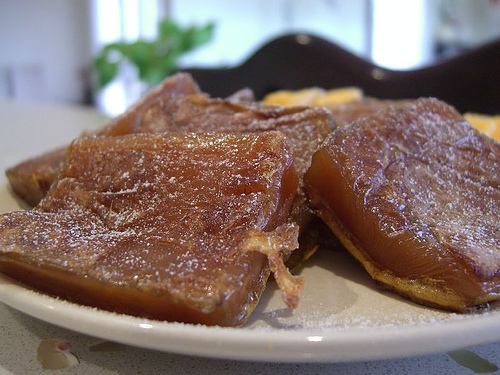 Nian gao is also popular in the Philippines because of its large Chinese population and is known as “tikoy” (Chinese: 甜粿, from Min Nan) there. Known as Chinese New Year pudding, nian gao is made up of glutinous rice flour, wheat starch, salt, water and sugar. The colour of the sugar used determines the colour of the pudding (white or brown). (Chinese: 肉干; pinyin: ròugān) Chinese salty-sweet dried meat, akin to jerky, which is trimmed of the fat, sliced, marinated and then smoked for later consumption or as a gift. Yusheng or Yee sang (simplified Chinese: 鱼生; traditional Chinese: 魚生; pinyin: yúshēng) Raw fish salad. Eating this salad is said to bring good luck. This dish is usually eaten on the seventh day of the New Year, but may also be eaten throughout the period. In 1928, the ruling Kuomintang party in China decreed that Chinese New Year will fall on 1 Jan of the Gregorian Calendar, but this was abandoned due to overwhelming opposition from the populace. In 1967 during the Cultural Revolution, official Chinese New Year celebrations were banned in China. The State Council of the People’s Republic of China announced that the public should “Change Customs”, have a “revolutionized and fighting Spring Festival”, and since people needed to work on Chinese New Year Eve, they did not have holidays during Spring Festival day. The public celebrations were reinstated by the time of the Chinese economic reform. Red packets for sale in a market in Taipei, Taiwan, before the Year of the Rat. Traditionally, Red envelopes or red packets (Cantonese: lai sze or lai see) (利是, 利市 or 利事; Pinyin: lìshì); (Mandarin: ‘hóngbāo’ (红包); Hokkien: ‘ang pow’ (POJ: âng-pau); Hakka: ‘fung bao’; are passed out during the Chinese New Year’s celebrations, from married couples or the elderly to unmarried juniors. It is also common for adults or young couples to give red packets to children. Red packets are also known as 壓歲錢/压岁钱 (yàsuìqián, which was evolved from 壓祟錢/压祟钱, literally, the money used to suppress or put down the evil spirit) during this period. Red packets almost always contain money, usually varying from a couple of dollars to several hundred. Per custom, the amount of money in the red packets should be of even numbers, as odd numbers are associated with cash given during funerals (帛金: báijīn). The number 8 is considered lucky (for its homophone for “wealth”), and $8 is commonly found in the red envelopes in the US. The number six (六, liù) is also very lucky as it sounds like ‘smooth’ (流, liú), in the sense of having a smooth year. Sometimes chocolate coins are found in the red packets. The act of requesting for red packets is normally called (Mandarin): 讨紅包 tǎo-hóngbāo, 要利是. (Cantonese): 逗利是. A married person would not turn down such a request as it would mean that he or she would be “out of luck” in the new year. Red packets are generally given by established married couples to the younger non-married children of the family. It is custom and polite for children to wish elders a happy new year and a year of happiness, health and good fortune before accepting the red envelope. Red envelopes are then kept under the pillow and slept on for seven days after Chinese New Year before opening because it symbolizes good luck and fortune when you sleep on the red envelopes for seven nights. In Taiwan in 2000s, sometimes some employers also give red packets as a bonus to maids, nurses or domestic workers from Southeast Asian countries, though whether this is appropriate is controversial. The Japanese have a similar tradition of giving money during the New Year called Otoshidama. In addition to red envelopes, which are usually given from elder to younger, small gifts (usually of food or sweets) are also exchanged between friends or relatives (of different households) during Chinese New Year. Gifts are usually brought when visiting friends or relatives at their homes. Common gifts include fruits (typically oranges and never pears), cakes, biscuits, chocolates, candies or some other small gift. More expensive or unusual gifts may be in the form of jewellery or giftware. Sugar candy of lunar new year. Markets or village fairs are set up as the New Year is approaching. These usually open-air markets feature new year related products such as flowers, toys, clothing and even fireworks. It is convenient for people to buy gifts for their new year visits as well as their home decoration. In some places, the practice of shopping for the perfect plum tree is not dissimilar to the Western tradition of buying a Christmas tree. Hong Kong filmmakers also release “New Year celebration films” (賀歲片), mostly comedies, in this time of the year. Shoppers at a New Year market in Chinatown, Singapore. 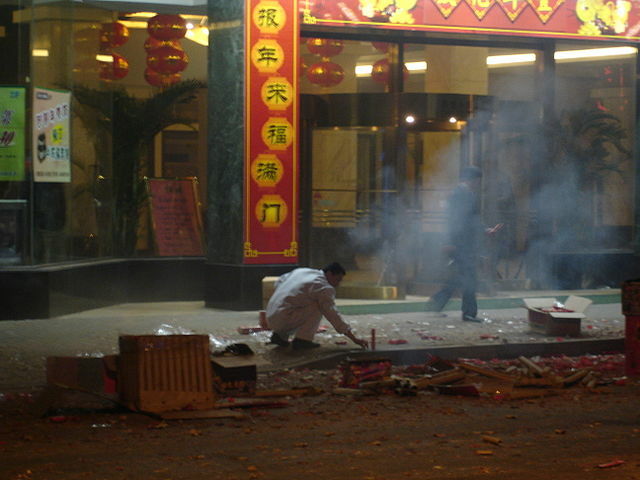 Mainland China – As of 2008, most urban areas in mainland China permit firecrackers. In the first three days of the traditional New Year, it is a tradition that people compete with each other by playing with firecrackers. However, many urban areas banned them in the 1990s. For example, they were banned in Beijing’s urban districts from 1993 to 2005. In 2004, 37 people were killed in a stampede when four million people gathered for a rumoured Lantern Festival firework display in nearby Miyun. Since the ban was lifted, the firecracker barrage has been tremendous. In Beijing, firecrackers are typically not allowed inside the 5th ring road. But this is overlooked by authorities for the holiday, provided there are no government buildings nearby; some residents in major cities look down on street-level fireworks from their tower blocks. Bans are rare in rural areas. United States – In 2007, New York City lifted its decade-old ban on firecrackers, allowing a display of 300,000 firecrackers to be set off in Chinatown’s Chatham Square. Under the supervision of the fire and police departments, Los Angeles regularly lights firecrackers every New Year’s Eve, mostly at temples and the shrines of benevolent associations. The San Francisco Chinese New Year Parade, the largest outside China, is accompanied by numerous firecrackers, both officially sanctioned and illicit. “Happy New Year!” (Chinese: 新年好呀; pinyin: Xīn Nián Hǎo Ya!, literally “New Year’s Good, Ya!”) is a popular children’s song for the New Year holiday. The melody is similar to the American folk song, Oh My Darling, Clementine. Clothing mainly featuring the colour red or bright colours is commonly worn throughout the Chinese New Year because it was once believed that red could scare away evil spirits and bad fortune. In addition, people typically wear new clothes from head to toe to symbolize a new beginning in the new year. Wearing new clothes also symbolizes having more than enough things to use and wear in the new year. Red is a colour of good luck. Taking family portrait is an important ceremony after the relatives are gathered. The photo is taken at the hall of the house or taken in front of the house. The most senior male head of the family sits in the center. An inverted character “福 (fú)” is a sign of arriving blessings. As with all cultures, Chinese New Year traditions incorporate elements that are symbolic of deeper meaning. 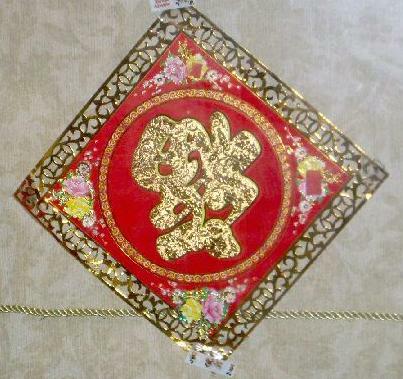 One common example of Chinese New Year symbolism is the red diamond-shaped fú characters (Chinese: 福, Cantonese and Hakka: Fook, literally “blessings, happiness”), which are displayed on the entrances of Chinese homes. This sign is usually seen hanging upside down, since the Chinese word 倒 (dào) “upside down”, is homophonous or nearly homophonous with 到 (dào) “arrive” in all varieties of Chinese. Therefore, it symbolizes the arrival of luck, happiness and prosperity. For the Cantonese speaking people, hanging the Fook sign upside down with the homophonic sound sounds like “pour”, which would usually symbolize bad luck, or pouring all the luck away, which is why Fook is not usually hung upside-down in Cantonese communities. Red is the predominant colour used in New Year celebrations. Red is the emblem of joy, and this colour also symbolizes virtue, truth and sincerity. On the Chinese opera stage, a painted red face usually denotes a sacred or loyal personage and sometimes a great emperor. Candies, cakes, decorations and many things associated with the New Year and its ceremonies are coloured red. The sound of the Chinese word for “red” ( 紅, hóng) is “hong” in Mandarin (Hakka: Fung; Cantonese: Hoong) which also means “prosperous.” Therefore, red is an auspicious colour and has an auspicious sound. Chinese New Year festival in Chinatown, Boston. Scene of the 2009 Chunyun period inside Beijing West Railway Station. Traditionally, families gather during the Chinese New Year. In modern China, migrant workers in China travel home to have reunion dinners with their families on Chinese New Year’s Eve. Owing to the large number of interprovincial travellers, special arrangements were made by railways, buses and airlines starting from 15 days before the New Year’s Day. This 40-day period is called “chunyun” (simplified Chinese: 春运; traditional Chinese: 春運; pinyin: chūnyùn; literally “transportation during Spring Festival”), known as the world’s largest annual migration. 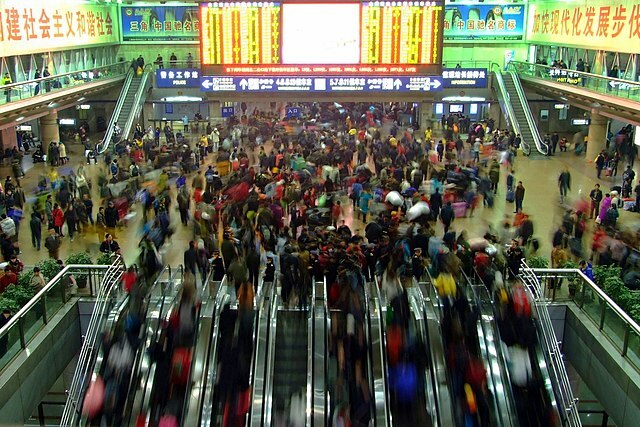 More interurban trips are taken in mainland China in this period than the total population of China. In Taiwan, spring travel is also a major event. The majority of transportation in western Taiwan is north-south direction long distance travel between urbanized north and hometowns in rural south. Transportations in eastern Taiwan and that between Taiwan and islands are less convenient. Cross-strait flights between Taiwan and mainland China begin in 2003 as part of Three Links, mostly for “Taiwanese businessmen” to return to Taiwan for new year. Chinese New Year is also celebrated annually in many countries with significant Chinese populations. These include countries throughout Asia, Oceania and North America. Sydney, London and San Francisco claim to host the largest New Year celebration outside of Asia and South America. Lion costume for New Year parade, Los Angeles, 1953. In 1849, with the discovery of gold and the ensuing California Gold Rush, over 50,000 people had come to San Francisco to seek their fortune or just a better way of life. Among those were many Chinese, who had come to work in the gold mines and on the railroad. By the 1860s, the residents of San Francisco’s Chinatown were eager to share their culture with their fellow San Francisco residents who may have been unfamiliar with (or hostile towards) it. The organizers chose to showcase their culture by using a favorite American tradition – the parade. They invited a variety of other groups from the city to participate, and they marched down what today are Grant Avenue and Kearny Street carrying colourful flags, banners, lanterns, drums and firecrackers to drive away evil spirits. 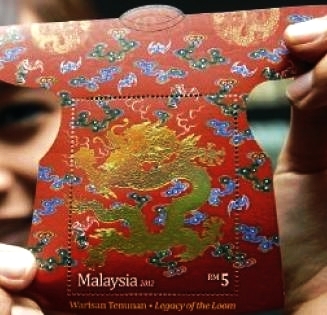 2012 Year of the Dragon stamps issued in Kuala Lumpur, Malaysia. It is the 2012 Chinese New Year miniature sheet (also known as souvenir sheet), where the stamp is still attached to the dress-shaped sheet on which they were printed. The sheet is produced in the shape of a cheongsam (from Cantonese Chinese: 長衫), a typical, traditional, and feminine body-hugging dress with distinctive Chinese features of Manchu origin. Such a dress was also known as qípáo (from Mandarin Chinese: 旗袍), and was the Republic of China‘s mandarin gown. It was popularised by Chinese socialites and upper-class women in the 1920s and 1930s in Shanghai. In some countries of Southeast Asia, Chinese New Year is a public holiday and considered to be one of the most important holidays of the year. The biggest celebrations take place in Malaysia (notably in Kuala Lumpur, George Town (Penang) and Klang) and Singapore. In Sabah, Malaysia, the Dusun Tatana in Kuala Penyu also celebrate Chinese New Year, which is mixed with some traditional customs of the native. They are the only Dusun who celebrate Chinese New Year as their festival. According to Murphy Ng on 24 Jan 2016: “This delightful lion dance performance includes Bamboo Dance (Magunatip) and Sumazau dance of Murut and Kadazan people respectively, the two largest indigenous groups of Sabah, Malaysia. You won’t see such lion dance in other parts of the world. Lion Dance Team: Kelab Tarian Singa Muda-Mudi Penampang (Penampang Lion Dance Youth Club). Kulingtangan (mini gong), a traditional Sabah music instrument, is also used in the show. Decorations on the occasion of Chinese New Year – River Hongbao 2016. Downtown Core, Central Region, Singapore. In Thailand, one of the most populous Chinese descent populated countries. Also celebrated the great Chinese New Year festivities throughout the country, especially in provinces where many Chinese descent live such as Nakhon Sawan, Suphan Buri, Phuket etc. Which is considered to promote tourism in the same agenda as well. In the capital, Bangkok in Chinatown, Yaowarat Road, there is a great celebration. Which usually closes the road making it a pedestrian street and often have a member of royal family came to be the president of the ceremony, always open every year, such as Princess Maha Chakri Sirindhorn. Greeting banners of various companies in the Chinese New Year 2016, on Yaowarat Road. Samphanthawong District, Bangkok, Thailand. Chinese New Year is also celebrated by Chinese-Indonesians in Indonesia since 1999 when Suharto stepped down. The Chinese New Year was declared in 2003 to be a national day. Having large Chinese populations, Cities and towns like Jakarta, Medan, Singkawang, Pangkal Pinang, Binjai, Bagansiapiapi, Tanjungbalai, Pematangsiantar, Selat Panjang, Tanjung Pinang, Batam, Ketapang and Pontianak always have their own New Year’s celebration with parade and fireworks. Many building in shopping malls are decorated with lantern, Chinese characters or phrases, and lions or dragons in red and gold, the main colours. Lion dance is a common sight around Chinese houses, temples and its shophouses. Usually, the Buddhist, Confucian and Taoist Chinese will burn a big dragon-decorated incense made of aloeswood at the front of their house. The temples are open for 24 hours on the first day, offering red envelopes and sometimes rice, fruits or sugar to the poor in the neighbourhood. Lanterns hanged around Senapelan street in the Chinatown of Pekanbaru, the capital of Indonesian province of Riau, and a major economic centre on the eastern part of Sumatra Island. Chinese New Year is also celebrated annually in many western cities with significant Chinese populations. Among the cities with such parades are San Francisco, Los Angeles, New York City, Boston, Wellington, Toronto and Vancouver. However, even smaller cities that are historically connected to Chinese immigration, such as Butte, Montana, have recently hosted parades. Both London and San Francisco claim to host the largest New Year celebration outside of Asia. Having one of the largest Chinese populations outside of Asia, Sydney also claims to have the largest Chinese New Year Celebrations outside of Asia, where over 600,000 people attend the celebrations in Chinatown annually. The events there span over three weeks including the launch celebration, outdoor markets, evening street food stalls, Chinese top opera performances, dragon boat races, a film festival and multiple parades that incorporate Chinese, Japanese, Korean and Vietnamese performers. More than 100,000 people attend notably the main parade visited by over 3,500 performers. The festival also attracts international media coverage, reaching millions of viewers in Asia. The festival in Sydney is organized in partnership with a different Chinese province each year. Apart from Sydney, other state capital cities in Australia also celebrate Chinese New Year due to large number of Chinese residents. The cities include: Brisbane, Adelaide, Melbourne Box Hill and Perth. 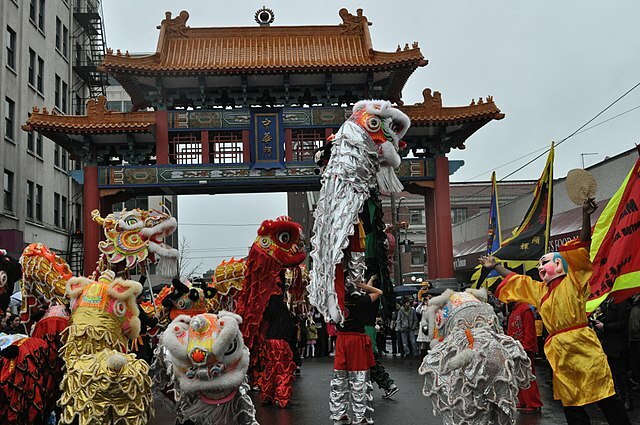 The common activities are lion dance, dragon dance, New Year market, and food festival. In the Melbourne suburb of Footscray, Victoria a Lunar New Year celebration initially focusing on the Vietnamese New Year has expanded into a celebration of the Chinese New Year as well as the April New Year celebrations of the Thais, Cambodians, Laotians and other Asian Australian communities who celebrate the New Year in either January/February or April. Chinese New Year celebrations in the Chinatown of Melbourne, Australia. The city of Wellington hosts a two-day weekend festival for Chinese New Year, and a one-day festival is held in Dunedin, centred on the city’s Chinese gardens. 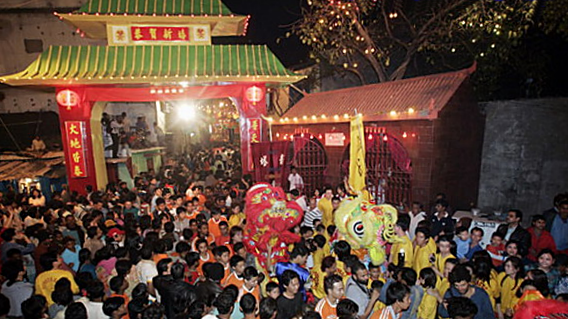 In Mauritius, home to a long standing Chinese population, Chinese New Year is one of the public holidays and festivals although Mauritians of Chinese origin represents only 3% of the population. Many celebrate the festival in Chinatown, Kolkata, India where a significant community of people of Chinese origin exists. In Kolkata, Chinese New Year is celebrated with lion and dragon dance. In Pakistan, the Chinese New Year is also celebrated among the sizable Chinese expatriate community that lives in the country. During the festival, the Chinese embassy in Islamabad arranges various cultural events in which Pakistani arts and cultural organizations and members of the civil society also participate. The Chinese New Year is often accompanied by loud, enthusiastic greetings, often referred to as 吉祥話 (jíxiánghùa) in Mandarin or 吉利說話 (Kat Lei Seut Wa) in Cantonese, loosely translated as auspicious words or phrases. New Year couplets, printed in gold letters on bright red paper, are another way of expressing auspicious new year wishes. They probably predate the Ming Dynasty (1368–1644), but did not become widespread until then. Today, they are ubiquitous with Chinese New Year. simplified Chinese: 新年快乐; traditional Chinese: 新年快樂; Mandarin Pinyin: Xīnniánkuàilè; Jyutping: san1 nin4 faai3 lok6; Pe̍h-ōe-jī: Sin-nî khòai-lo̍k; Hakka: Sin Ngen Kai Lok; Taishanese: Slin Nen Fai Lok. A more contemporary greeting reflective of Western influences, it literally translates from the greeting “Happy new year” more common in the west. But in northern parts of China, traditionally people say simplified Chinese: 过年好; traditional Chinese: 過年好; pinyin: Guònián Hǎo instead of simplified Chinese: 新年快乐; traditional Chinese: 新年快樂 (Xīnniánkuàile), to differentiate it from the international new year. And 過年好 (Guònián Hǎo) can be used from the first day to the fifth day of Chinese New Year. However, 過年好 (Guònián Hǎo) is considered very short and therefore somewhat discourteous. Kung Hei Fat Choi at Lee Theatre Plaza, Hong Kong. simplified Chinese: 恭喜发财; traditional Chinese: 恭喜發財; pinyin: Gōngxǐfācái; Hokkien: Keong hee huat chye (POJ: Kiong-hí hoat-châi); Cantonese: Gung1 hei2 faat3 coi4; Hakka: Kung Hii Fatt Choi, which loosely translates to “Congratulations and be prosperous”. Often mistakenly assumed to be synonymous with “Happy New Year”, its usage dates back several centuries. While the first two words of this phrase had a much longer historical significance (legend has it that the congratulatory messages were traded for surviving the ravaging beast of Nian, in practical terms it may also have meant surviving the harsh winter conditions), the last two words were added later as ideas of capitalism and consumerism became more significant in Chinese societies around the world. The saying is now commonly heard in English speaking communities for greetings during Chinese New Year in parts of the world where there is a sizable Chinese-speaking community, including overseas Chinese communities that have been resident for several generations, relatively recent immigrants from Greater China, and those who are transit migrants (particularly students). Numerous other greetings exist, some of which may be exclaimed out loud to no one in particular in specific situations. For example, as breaking objects during the new year is considered inauspicious, one may then say 歲歲平安 (Suìsuì-píng’ān) immediately, which means “everlasting peace year after year”. Suì (歲), meaning “age” is homophonous with 碎 (suì) (meaning “shatter”), in demonstration of the Chinese love for wordplay in auspicious phrases. Similarly, 年年有餘 (niánnián yǒu yú), a wish for surpluses and bountiful harvests every year, plays on the word yú that can also refer to 魚 (yú meaning fish), making it a catch phrase for fish-based Chinese new year dishes and for paintings or graphics of fish that are hung on walls or presented as gifts. “招財進寶 (Zhāocáijìnbǎo)” written as a single character is popular during Chinese New Year. Children and teenagers sometimes jokingly use the phrase (Traditional Chinese:恭喜發財,紅包拿來, Simplified Chinese: 恭喜发财，红包拿来) (Pinyin: gōngxǐfācái, hóngbāo nálái) (Cantonese: 恭喜發財,利是逗來)(Usually English written as Kung Hei Fat Choi or Kung Hei Fat Choy) roughly translated as “Congratulations and be prosperous, now give me a red envelope!”. 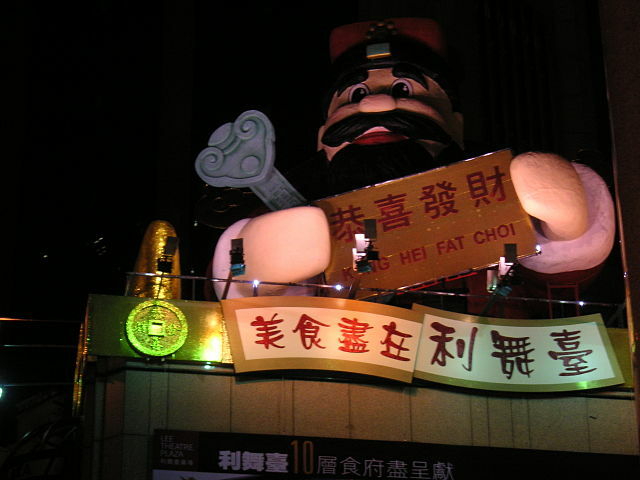 In the Hakka dialect the saying is more commonly said as ‘Gung hee fatt choi, fung bao diu loi’ which would be written as 恭喜發財,紅包逗來 – a mixture of the Cantonese and Mandarin variants of the saying. Back in the 1960s, children in Hong Kong used to say 恭喜發財,利是逗來,斗零唔愛 (Cantonese, Gung Hei Fat Choy, Lai Si Tau Loi, Tau Ling M Ngoi), which was recorded in the a pop song Kowloon Hong Kong by Reynettes in 1966. Later in the 1970s, children in Hong Kong used the saying: 恭喜發財,利是逗來,伍毫嫌少,壹蚊唔愛 (Cantonese), roughly translated as, “Congratulations and be prosperous, now give me a red envelope, fifty cents is too little, don’t want a dollar either.” It basically meant that they disliked small change – coins which were called “hard substance” (Cantonese: 硬嘢). Instead, they wanted “soft substance” (Cantonese: 軟嘢), which was either a ten dollar or a twenty dollar note. 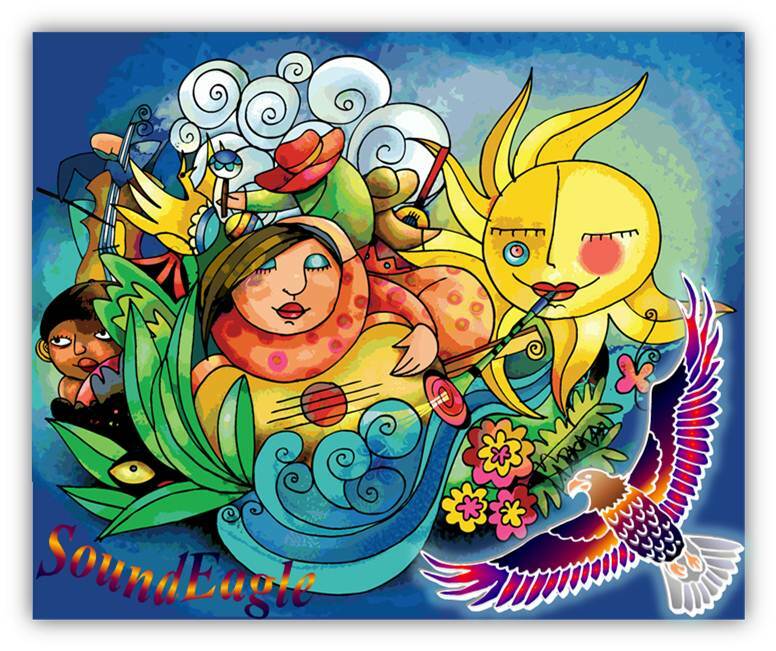 ^ “Asia welcomes lunar New Year”. BBC. 2003-02-01. http://news.bbc.co.uk/2/hi/asia-pacific/2712567.stm. Retrieved 2008-11-07. ^ Events & Festivals. Hong Kong Tourism Board. Accessed 2013-01-01. ^ “Chinese New Year 2011”. YourSingapore.com. http://www.yoursingapore.com/content/traveller/en/browse/whats-on/festivals-and-events/chinese-new-year.html. Retrieved 2011-11-02. ^ “Festivals, Cultural Events and Public Holidays in Mauritius”. Mauritius Tourism Authority. http://www.tourism-mauritius.mu/discover/festivals.html. Retrieved 2012-01-28. ^ Chiu, Lisa. “The History of Chinese New Year”. About.com. http://chineseculture.about.com/od/chinesefestivals/a/ChineseNewYear.htm. Retrieved February 08, 2013. ^ “The origin and history of Chinese new year”. 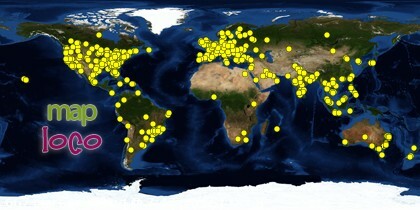 Theholidayspot.com. http://www.theholidayspot.com/chinese_new_year/origin.htm. Retrieved 2010-08-25. ^ Li Ren (2003). “Imagining China in the Era of Global Consumerism and Local Consciousness: Media, Mobility, and the Spring Festival”. PhD thesis, College of Communications, Ohio University. http://rave.ohiolink.edu/etdc/view?acc_num=ohiou1057001670. Retrieved 2007-09-13. Edited for grammar. ^ Kong, Shiu L. Chinese Culture and Lore. HK: University of Toronto Press, 1989, p. 48. ^ “【赤狗日】”. 140.111.34.46. http://140.111.34.46/cgi-bin/dict/GetContent.cgi?Database=dict&DocNum=113315&GraphicWord=yes&QueryString=%E8%B5%A4. Retrieved 2010-08-25. ^ Rodgers, Greg. “Chinese New Year Traditions”. About.com. http://goasia.about.com/od/ChineseNewYear/a/Chinese-New-Year-Traditions.htm. Retrieved February 08, 2013. ^ a b c Lin Meirong (2011). “Jade Emperor”. Encyclopedia of Taiwan. Council for Cultural Affairs. http://taiwanpedia.culture.tw/en/content?ID=4414. Retrieved 2012-09-12. ^ a b c d Conceicao, Jeanne Louise (2009). “Hokkien community”. Singapore Infopedia. National Library Board Singapore. http://infopedia.nl.sg/articles/SIP_1498_2009-04-09.html. Retrieved 2012-09-12. ^ “Thousands throw oranges to mark Chap Goh Meh”. Thestar.com.my. 2010-03-01. http://thestar.com.my/news/story.asp?file=/2010/3/1/nation/5769183&sec=nation. Retrieved 2010-08-25. 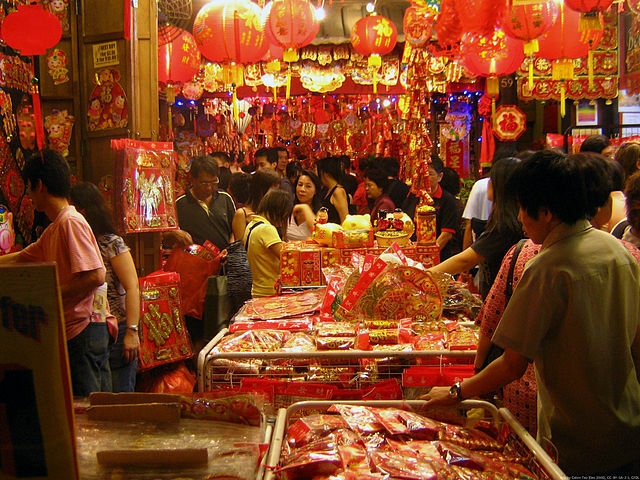 ^ “Ofw chinese new year things to remember” (PDF). South East Asia Group [an agency introducing foreign workers to work in Taiwan]. http://www.sea.com.tw/word/%B9L%A6~%AA%60%B7N%A8%C6%B6%B5-%B5%E1%A4%E5.pdf. Retrieved 2012-01-29. “家庭外傭過年習俗應注意事項” (in Traditional Chinese, with Vietnamese, Indonesian, Thai and English message in JPEG picture.) (JPEG). South East Asia Group. http://seacomtw.pixnet.net/blog/post/41810763. ^ “New Years”. http://www.chinese-lessons.com. http://www.chinese-lessons.com/cantonese/culture1NewYears.htm#gift. Retrieved 2008-11-04. ^ “Firecrackers”. 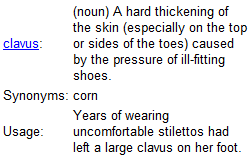 Infopedia.nlb.gov.sg. 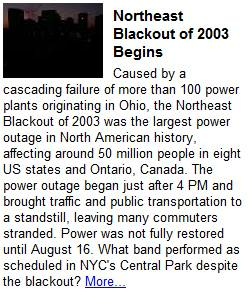 1999-04-15. http://infopedia.nlb.gov.sg/articles/SIP_749_2005-01-11.html. Retrieved 2011-11-02. ^ People’s Daily ‘Beijing to loose 12-year ban on firecrackers’, peopledaily.com, 2005-07-20. Retrieved 2008-11-11. ^ This is the figure given by the China Daily, citing the official news agency Xinhua. However, some caution should be exercised over it: although a small proportion of Beijing’s population, it is ten times the normal population of Miyun County. Mandarin handles large numbers differently from English, so translation errors are common. ^ China Daily Rumors of fireworks display lead to stampede, chinadaily.com 2004-02-11. Retrieved 2008-11-11. ^ Can you pig it? New York goes hog-wild for Chinese New Year, New York Post, 2007-02-17. Accessed 2013-01-01. ^ “新年好 (xīnniánhǎo) Happy New Year”. eChineseLearning.com. http://resources.echineselearning.com/kids/kids-chinese-496.html. Retrieved 2012-12-20. ^ Wood, Frances. “The Boxer Rebellion, 1900: A Selection of Books, Prints and Photographs”. British Library. http://www.fathom.com/feature/122228/. Retrieved 2010-06-28. ^ “Chinese New Year in Southeast Asia”. Goseasia.about.com. http://goseasia.about.com/od/culturepeople/a/seasiacny.htm. Retrieved 2011-11-02. ^ “Singapore in spring: Chinatown Chinese New Year Celebrations 2010”. .yoursingapore.com. http://www2.yoursingapore.com/spring2010/en/events/events-11.shtml. Retrieved 2011-11-02. ^ “Chingay Parade Singapore 2011”. YourSingapore.com. http://www.yoursingapore.com/content/traveller/en/browse/whats-on/festivals-and-events/chingay-parade-singapore.html. Retrieved 2011-11-02. ^ AFP (2012-01-22). “Chinese-Indonesians celebrate once-forbidden roots”. Taipei Times. http://www.taipeitimes.com/News/world/archives/2012/01/22/2003523845. ^ “Southwest Airlines Chinese New Year Parade in San Francisco”. Chineseparade.com. http://www.chineseparade.com/. Retrieved 2011-11-02. ^ “Chinatown Main Street”. http://www.chinatownmainstreet.org/events.php. Retrieved 2012-01-23. ^ “Chinese New Year Festival, Wellington New Zealand”. Chinesenewyear.co.nz. http://www.chinesenewyear.co.nz/?page_id=2. Retrieved 2008-11-07. 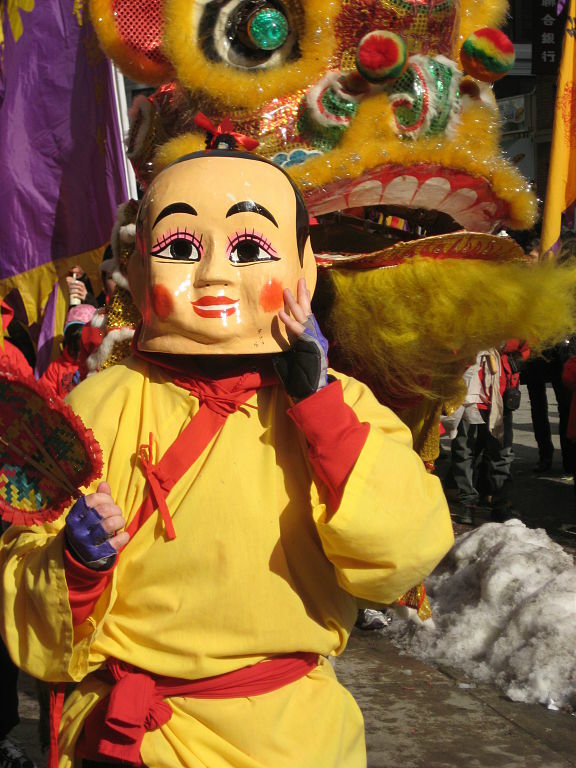 ^ “Chinese New Year Parade in Vancouver”. Seechinatown.com. http://www.seechinatown.com/parade/parade.htm. Retrieved 2011-11-02. ^ Rhein, Jamie (2007-02-16). “A Chinese New Year Parade in Butte, Montana? Sure”. Gadling.com. http://www.gadling.com/2007/02/16/a-chinese-new-year-parade-in-butte-montana-sure/. Retrieved 2011-11-02. 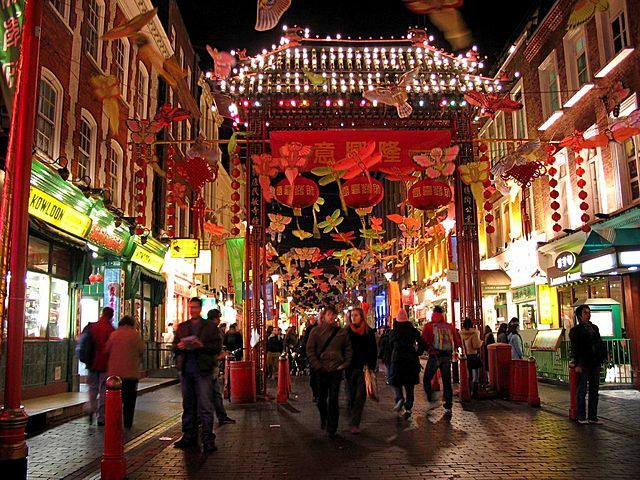 ^ “London – Chinese New Year – “The largest celebration outside of Asia””. BBC. 2009-01-22. http://www.bbc.co.uk/london/content/articles/2009/01/22/cny_planning_feature.shtml. Retrieved 2011-11-02. ^ Kim, Ryan (2010-02-28). “Year of the Tiger off to roaring start at parade”. San Francisco Chronicle. http://www.sfgate.com/cgi-bin/article.cgi?f=/c/a/2010/02/28/MNOE1C8D01.DTL. Retrieved 2010-03-01. ^ “City of Sydney Official Chinese New Year Website”. Cityofsydney.nsw.gov.au. 2011-01-01. http://www.cityofsydney.nsw.gov.au/cny/. Retrieved 2011-11-02. ^ Mauritius CIA Factbook. Accessed 2013-01-01. ^ Welch, Patricia Bjaaland, p. 22. Gosh, what an amazing post! Full of interest! Thank you, Lois. SoundEagle is very delighted that you find the post highly arresting. 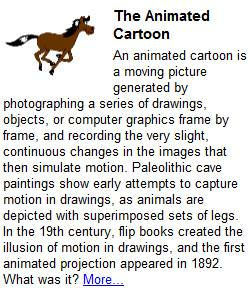 May you also find the videos and animations engaging! A good reference source. Nice. You are welcome, Swabby429 and BlueJay! 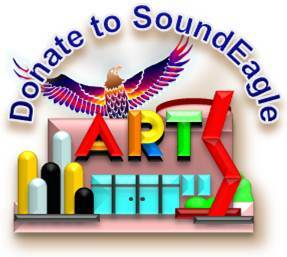 Now, would you care or dare to Face the Noise & Music on SoundEagle’s blog? 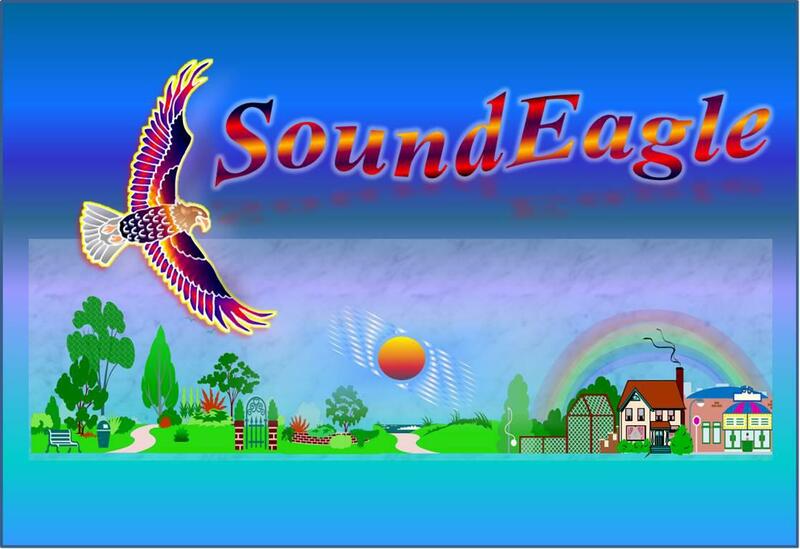 Hi Eliz, SoundEagle is delighted by your comment and observation. It did take quite a while to “put together”. Yes, I can imagine that. Thanks again! Glad to reconnect as I noticed I was here before… I’m getting back in the loop after some time off. What a comprehensive post. Happy New Year! Hello Karina! Welcome here, and may you continue to find this website fascinating! Since you have started with “a comprehensive post”, here are more unusual and entertaining ones for you to enjoy to your heart’s content! Lunar new year was not apparent to me when we lived in the UK. Living in Sydney (and the progress of age) has expanded my outlook on life and circle of friends (physically and virtually). I think the sounds and sights of celebration are important to the farewell the past and welcome the new year. What a great post, there is so much information here! Hello Robert ! How have you been? 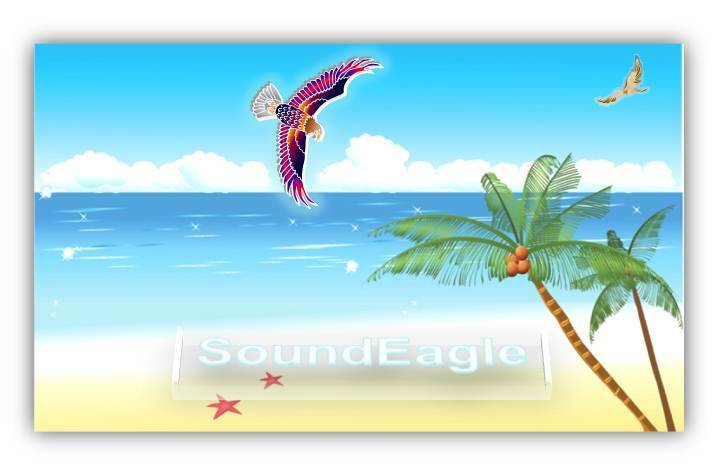 On visiting your blog, SoundEagle🦅 can see that you are having an eventful 28-day countdown. Thank you for updating us with your latest errands, itinerants and milestones. 🎴 If My Name Were Moon Tonight… 🌛🌝🎑🈷. 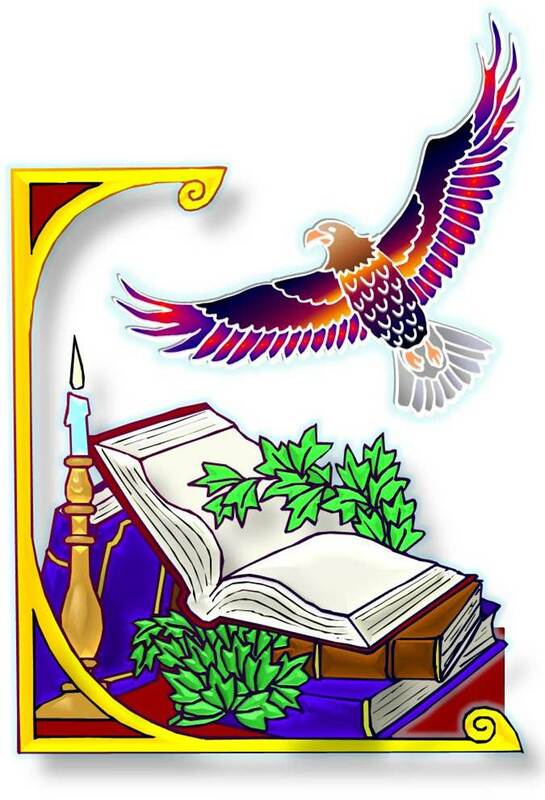 May you enjoy the abovementioned posts at your leisure to your heart’s content! Thank you for your comments and information about Chinese New Year. One of the reasons I am making a significant change is that I read somewhere that the Year of the Dog is one of opportunity for Rabbits. I don’t have any interactions with China but I once visited a really old shop that had a set of alchemistic Chinese talismans that I purchased. 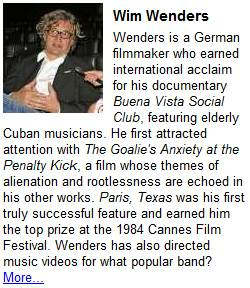 Dear SoundEagle, thanks (as always) for this delightful and insightful article, which is worthy of an encyclopedia. I have long known that Chinese culture and history is very interesting, but having learned more from here, I wish very eagerly to visit China one day and pay my respects to its wonderful, polytheistic people. And thanks for the video, by the way. I have been considering the use of YT also for some of my content. I wish you much joy and festivity in the Chinese New Year, if you celebrate it! My goodness! What an informative and visually arresting post. Bravo!